Please see our new product line HERE. 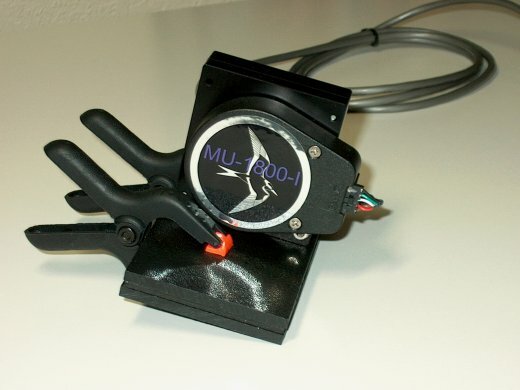 The most accurate and versatile model aircraft setup tool available! 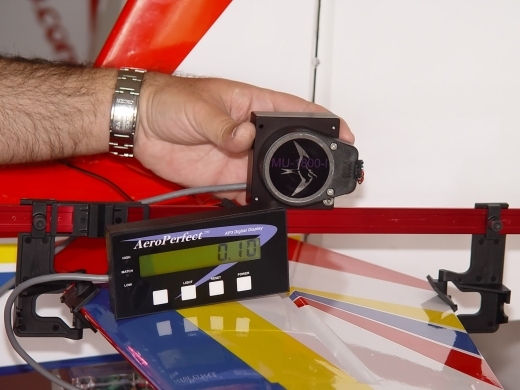 Every angle on your aircraft can now be set perfectly without the need for leveling first (although the AeroPerfect Digital Incidence and Control Throw Meter can also be used as a precision level)! With AeroPerfect's Optical-Digital technology, you can measure the difference between any number of angles with extreme precision. Extreme Control Throws - Incredible Precision! Measure Incidence to 0.05 Degrees- No Leveling! 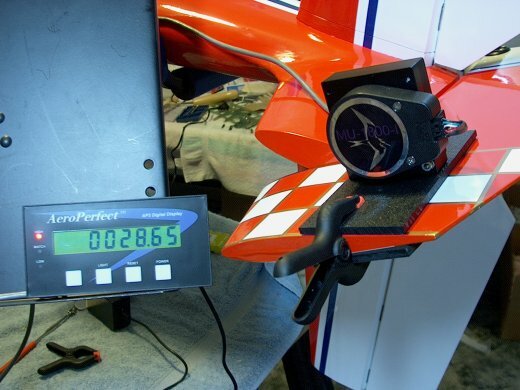 The AeroPerfect Digital Incidence and Control Throw Meter assisted Tony Russo of Dalton Aviation in setting up Mark Leseberg's winning plane (Dalton Extra 300) for the 2006 Tucson Shootout! This plane was also flown at the 2006 Don Lowe Masters. 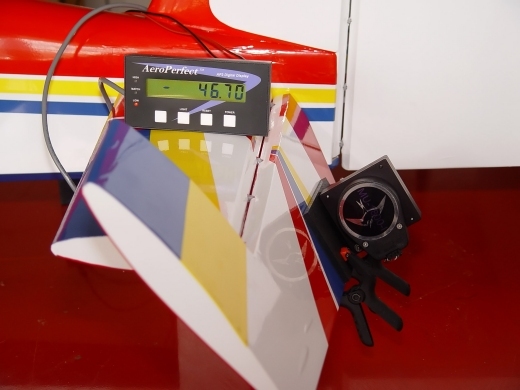 For more information, please take a look at Tony's review of the AeroPerfect Meter on Flying Giants HERE. 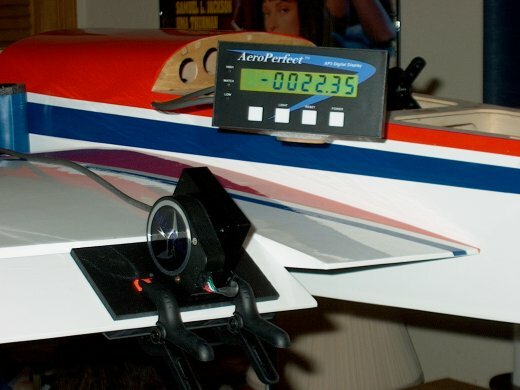 As featured in Paul Naton's DVD "Performance Tuning for Gliders" (available from Radio Carbon Art), the AeroPerfect Digital meter provides unparalleled precision and convenience when setting up gliders for perfect flight. 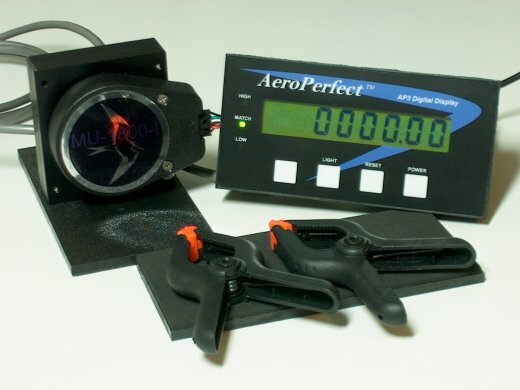 Also, throughout South America and in countries such as Spain, the AeroPerfect Meter is gaining wide acceptance as a superior giant scale aircraft setup tool! A review in Acro3D Magazine is a good example of this. A direct link to the review can be found HERE. 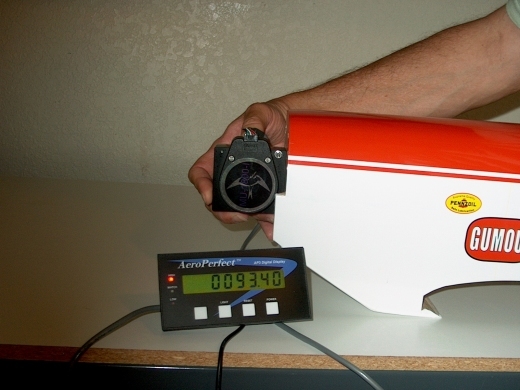 How does the AeroPerfect Meter stack up against other incidence meters? Henryk Kobylanski of Silent Flight Network reviews incidence meters HERE. 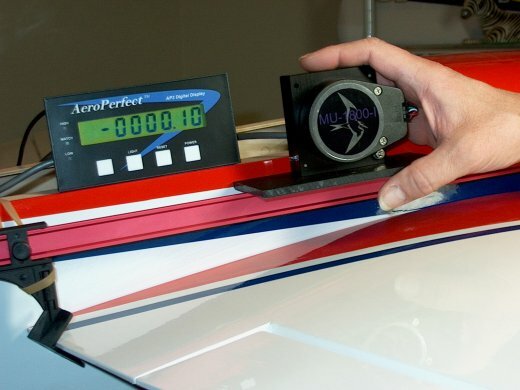 AeroPerfect's measuring unit sends digital information via a flexible cable to an easy-to-read, digital display. This liquid crystal display shows the angular difference between your chosen zero reference and any angle while referencing gravity. You set the zero angle reference wherever you want it! The AeroPerfect Digital Incidence and Control Throw Meter is truly a digital measuring tool (unlike other meters which claim to be digital but merely have a digital display). 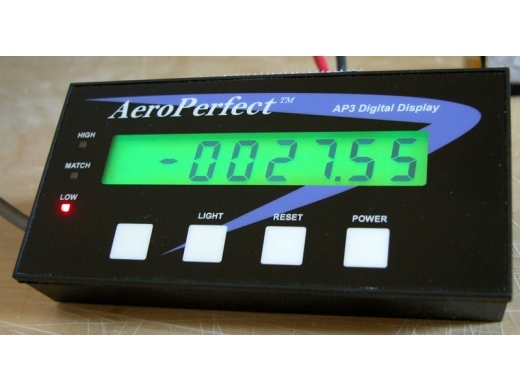 The Aeroperfect's precision measuring head sends optical information as a train of digital pulses which is digitally processed by the display unit. 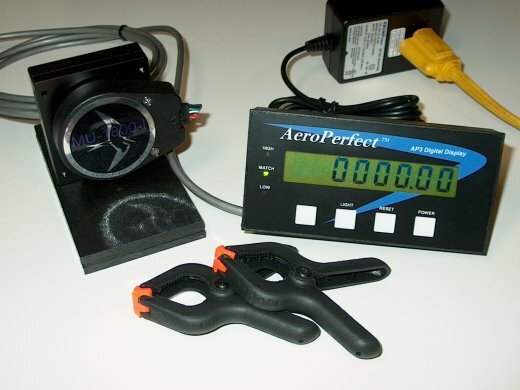 Unlike cheap, capacitive-type angle meters, the AeroPerfect's accuracy will not drift with changes in temperature and never needs re-calibration. 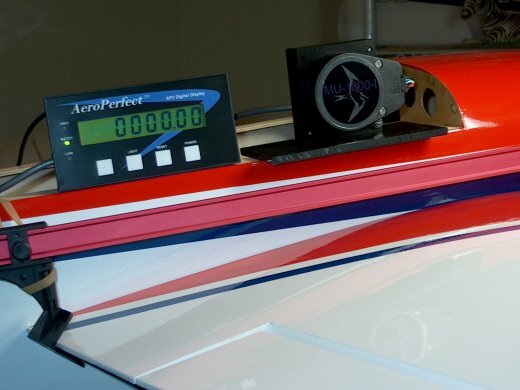 Unlike bubble-type meters, direct and immediate wing incidence and decalage measurements can be made without the need for leveling. 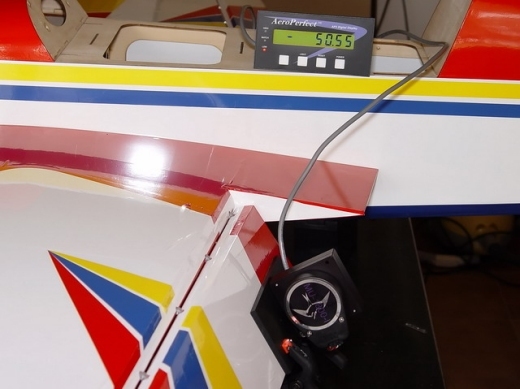 Ordinary plastic protractor gauges require interpolation and introduce significant inaccuracies due to parallax error. 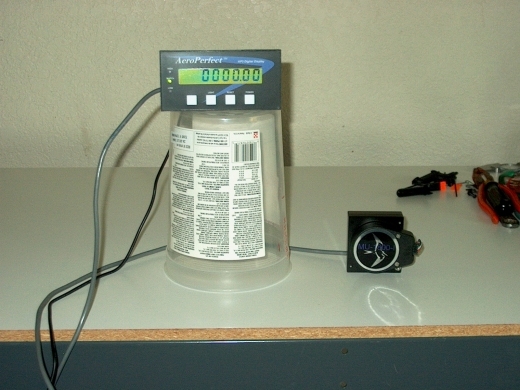 The AeroPerfect Digital Incidence and Control Throw Meter is vastly superior to these meters because measurements are read directly from the digital display. Other electronic angle meters currently available cannot come close to the precision, repeatability and 360 degree range of the AeroPerfect Meter! 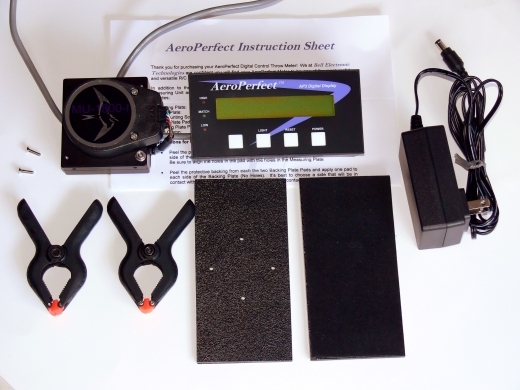 The AeroPerfect is the only meter you will need for all aspects of setting up model aircraft! 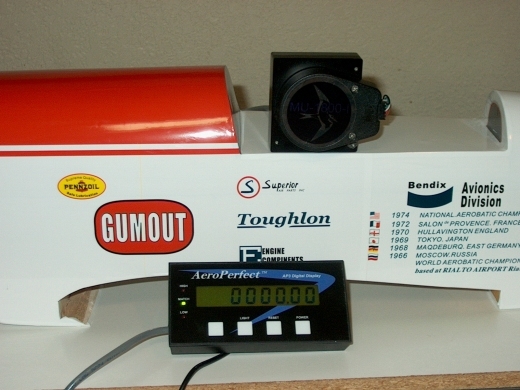 Use it to measure control throws for ailerons, elevators, and rudders; match elevator halves; measure wing and stab incidence, engine thrust line and side thrust angle, decalage, biplane decalage, wing wash-in or wash out; set rotor blade collective pitch; align wheel pants perfectly. Use it to level wing and stab; measure fin offset angle; set fin exactly at 90 degrees and much more- all with .05 degree resolution. That's right- one half of one tenth of a degree! 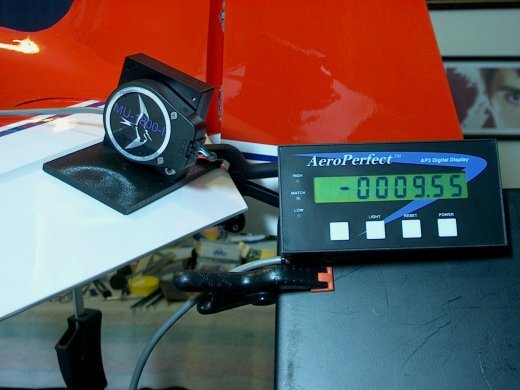 Whether you're flying giant scale aircraft, IMAC competition, or setting up your glider for perfect performance, the AeroPerfect Digital Incidence and Control Throw Meter is the tool of choice! 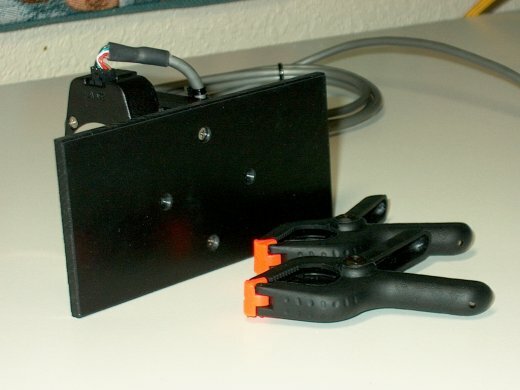 It is also the perfect tool to use when programming digital servos! (see Hitec Digital Servo Programming Page for more details). 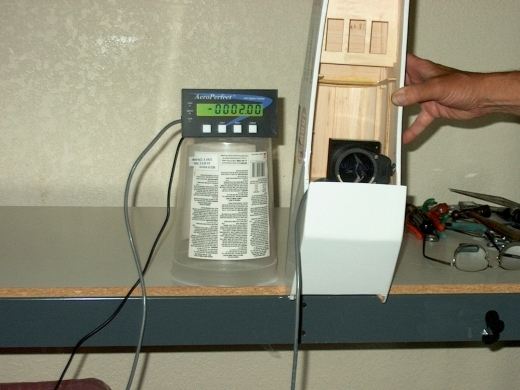 The most accurate Model Aircraft angle meter available! Range of +/- 180 degrees (360 degrees total) easily accommodates even the most extreme 3D control throws! High-Efficiency AP-12 ,12 Volt Power supply included. Handles all European AC inputs as well (AC Plug Adapters Available from AeroPerfect, See Specifications Page). Green LED illuminates when AC Power is applied. The AeroPerfect Digital Control Throw Meter comes with a Two-Year Warranty against defects in materials and workmanship!